Interconnectable Cabins: No. Triple occupancy possible with child younger than 13 years on sofa in Strand Cabins and above. 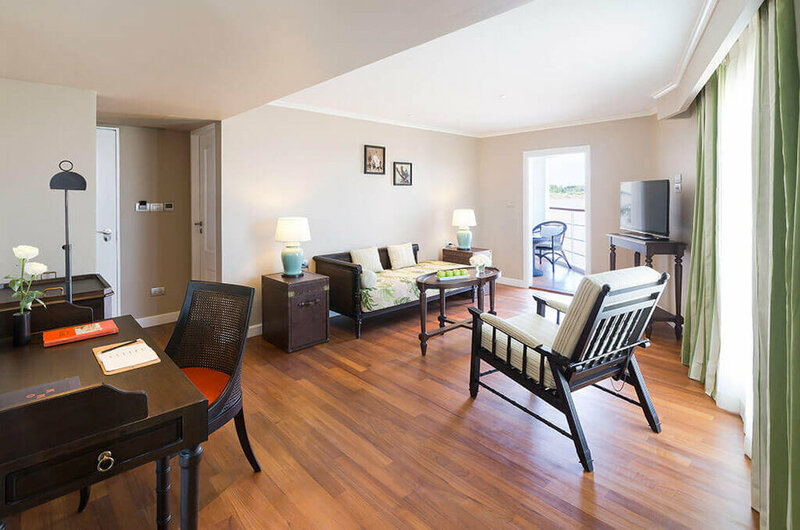 Features: Wi-Fi, Branded amenities, Intercom Telephone, Flat-screen TV with cable channels, French balcony, Writing desk, International plugs, AV connectivity, Safety box, Bathrobes & Slippers, Full-length mirror, Separate toilet & rain shower. + Wi-Fi available in all cabins and public areas with satellite internet connection. Due to the current environment and its infrastructure, the internet connection might be unstable.